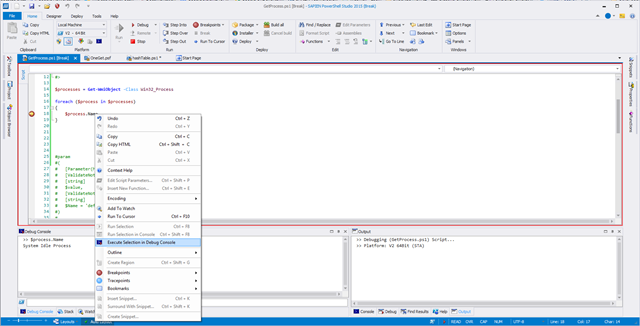 We released a new service release for PowerShell Studio 2015 (v4.2.92). 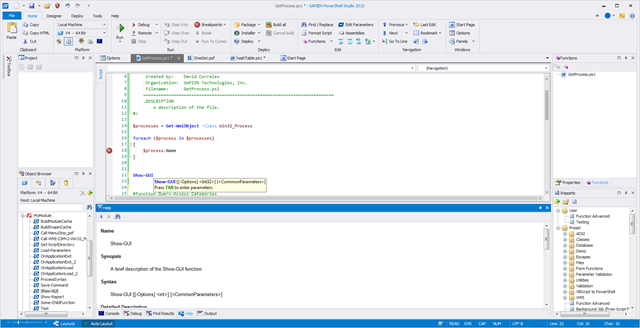 In this build we improved PowerShell Studio’s file memory usage. Larger files should now load faster and use up less memory than in previous builds of the product. Then you simply begin typing in the new name for the control, without any unnecessary mouse clicks. 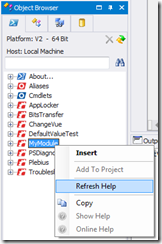 This command will update the cache help for the selected module. 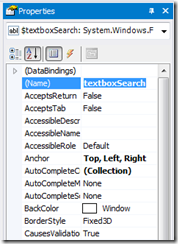 The generated help is shared between the SAPIEN Document Explorer and PrimalScript 2015. 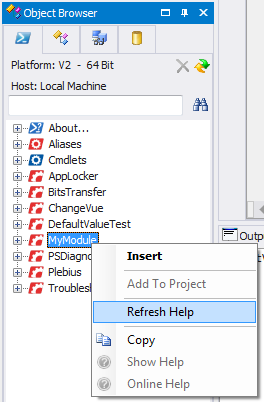 If help is coming up blank for a particular module, this command can build the necessary cache files so that it will appear when editing your scripts. 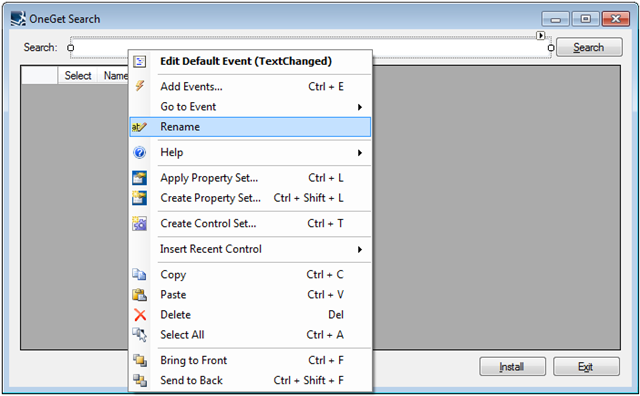 We renamed the editor context menu command “Run Selection in Debug Console” to “Execute Selection in Debug Console”. The new name reflects the functional differences between the “Run Selection” and “Execute Selection in Debug Console”. 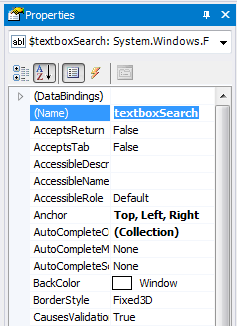 The default behavior for the “Run Selection” commands is to run the current line if there is no selection made. This is no longer the case for “Execute Selection in Debug Console” command. 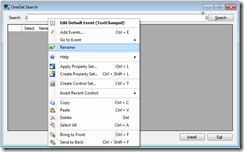 Instead it will behave like the “Add To Watch” command where if you use the “Add To Watch” command on a property or method of a variable, it will automatically include the whole statement. In the case where you have a selection, it will instead run the selection. Please continue providing your feedback. Many of the new features included in the service builds are suggestions from users like you. Therefore if you have any suggestions or feature requests, please share them with us on our Wish List and Feature Requests forum.